Here is some space for other things I enjoy and do. Above all, I love playing the game of pétanque – the famous French jeu de boules. Not a master player at all, my passion for the game was enough to become a registered pétanque player in the Czech official association. 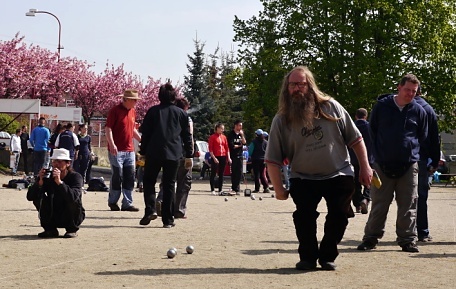 So besides going out for conferences (as sociologist) or for concerts (as musician) I also travel during weekends to take part in pétanque tournaments… Occasionally, I go out for various kinds of other trips. While being on trips, I like taking photographs. Digital cameras restored creative control over the process to private individuals, so taking pictures became fun again – like when I, as a little boy, had darkened our bathroom and tinkered with black-and-white pictures with the help of smelly chemicals. Taking photographs is my small private pleasure – and precisely this is what this section is for: unimportant private pleasures.